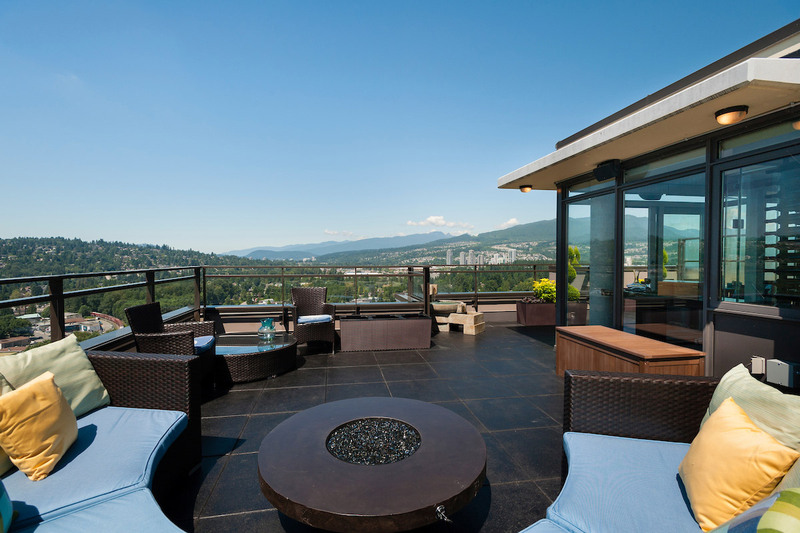 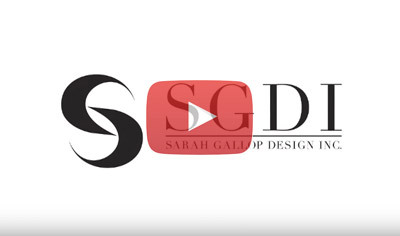 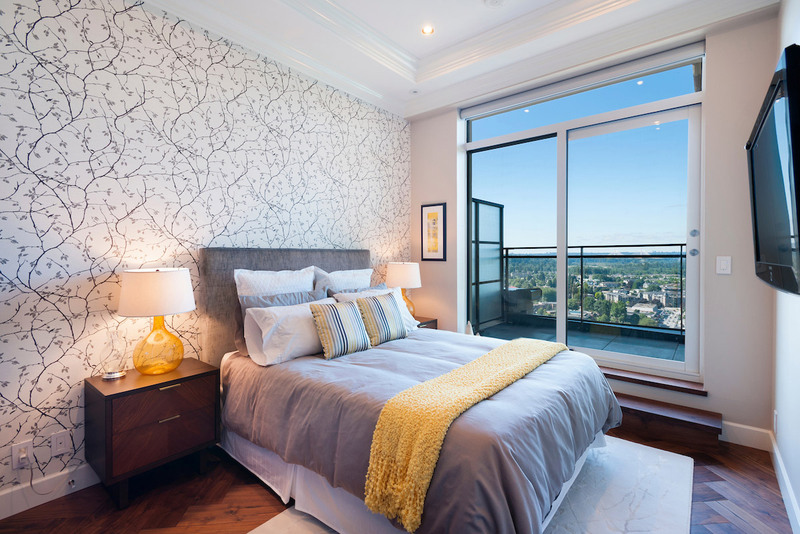 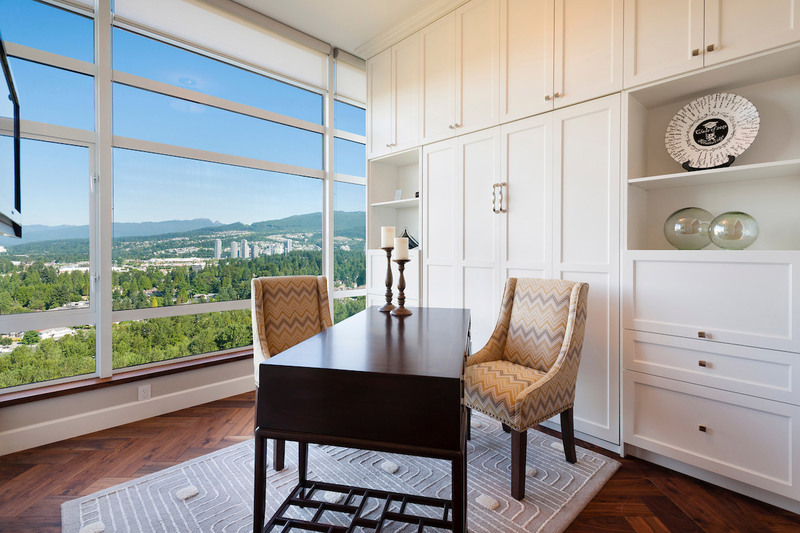 This penthouse in Port Coquitlam was not even 2 years old when SGDI was engaged to make it something more than ordinary. 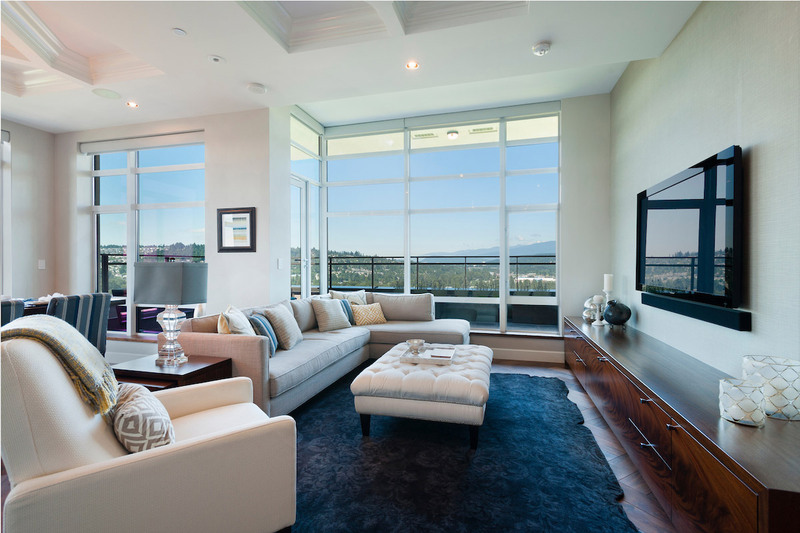 This was a typical condo, built for the masses, not for a specific owner. 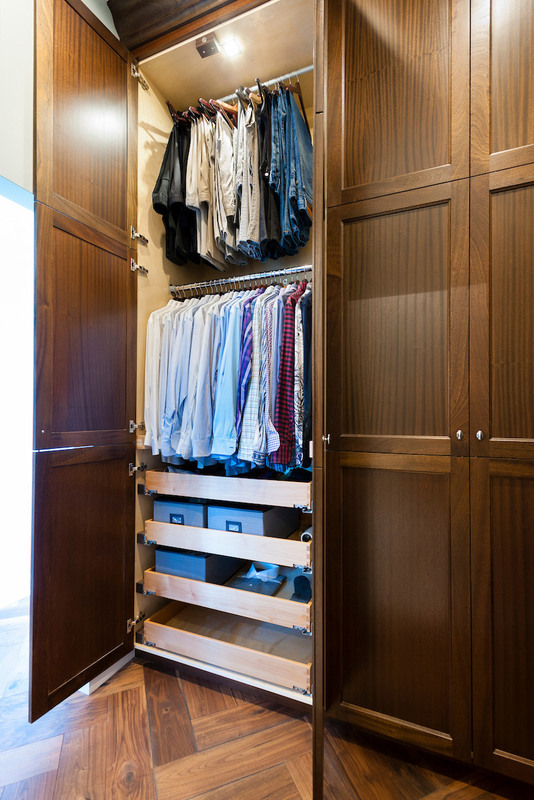 Nothing overly nice or interesting, average quality products throughout. 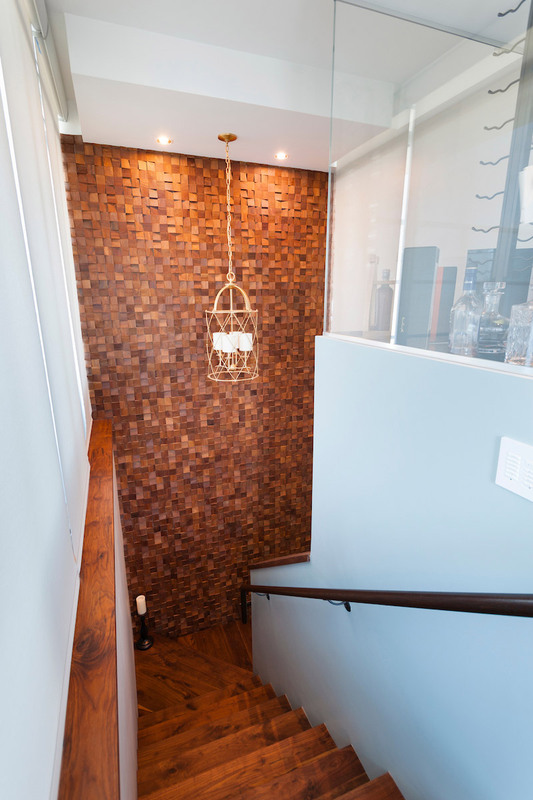 This entire condo was gutted down to the studs and received an entire overhaul from ceilings to floors. 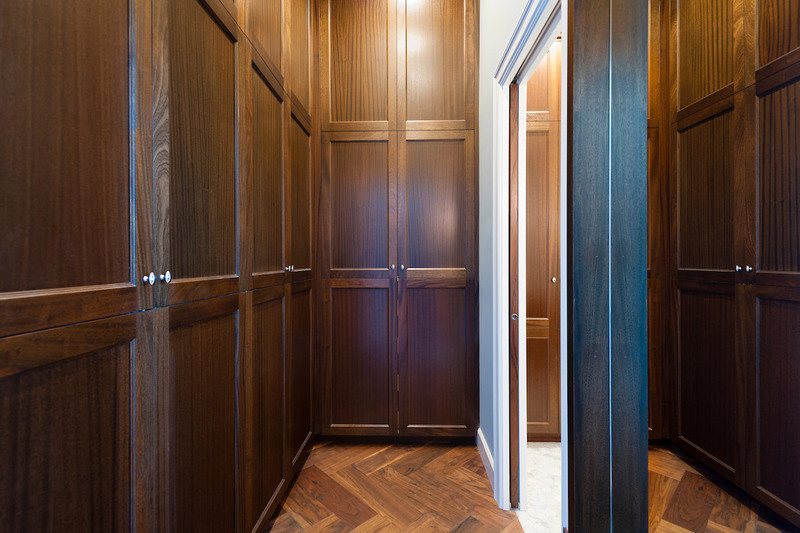 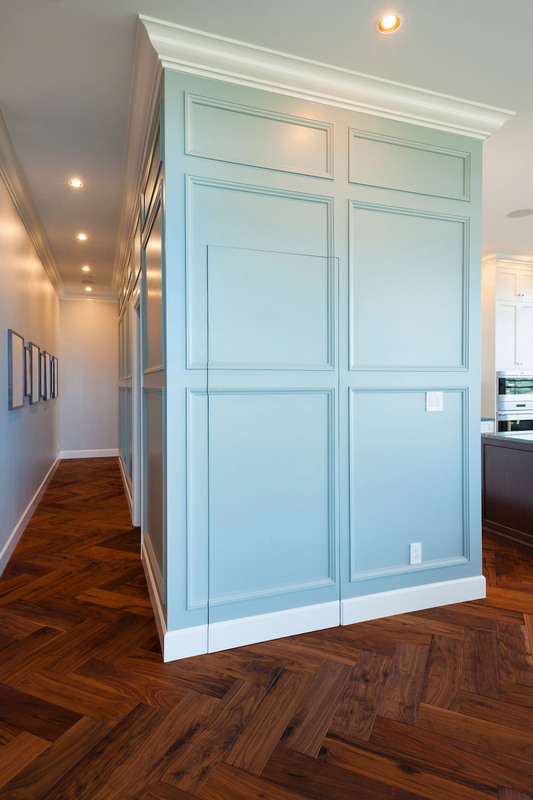 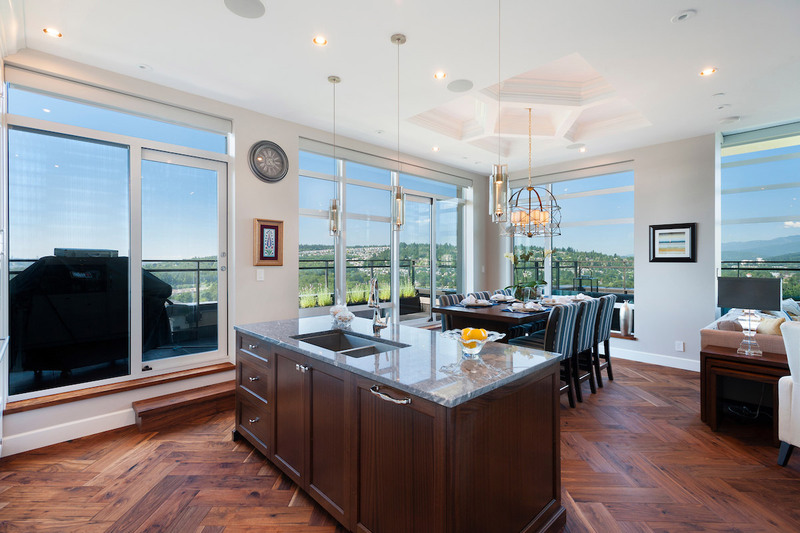 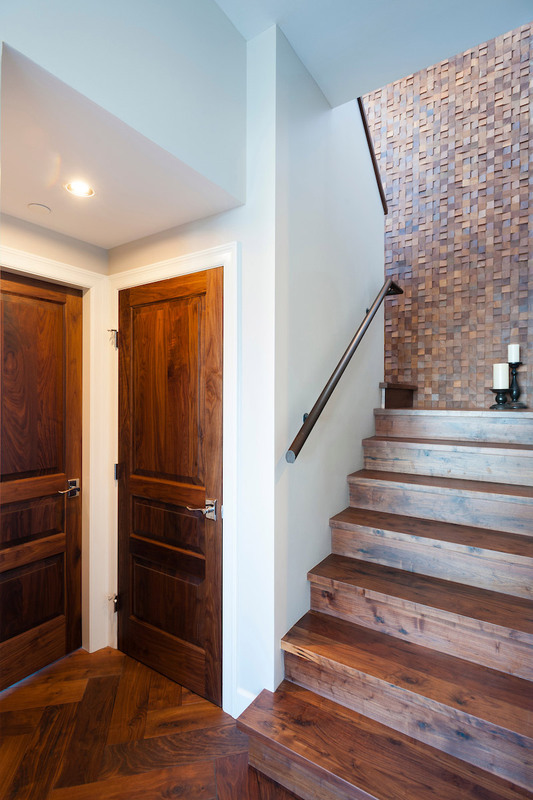 Beautiful herringbone patterned walnut flooring, with custom millwork and classic details throughout. 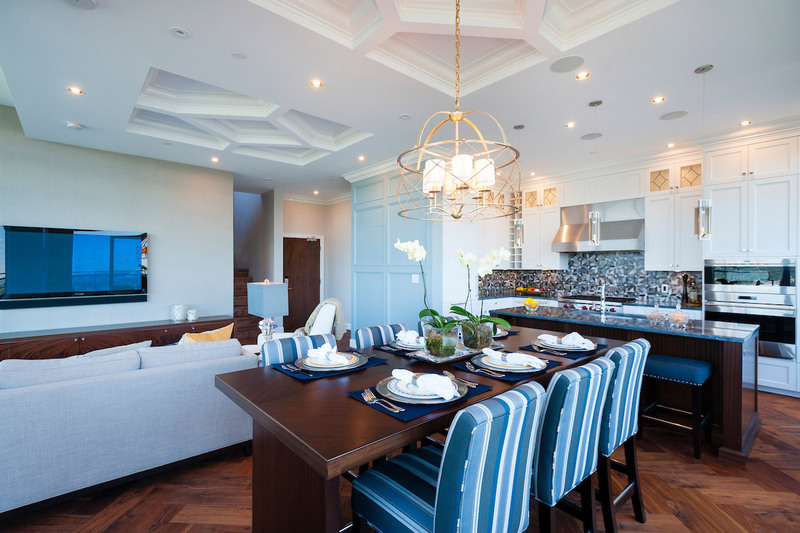 Intricate diamond coffered ceilings found in the dining and living room define these entertaining spaces. 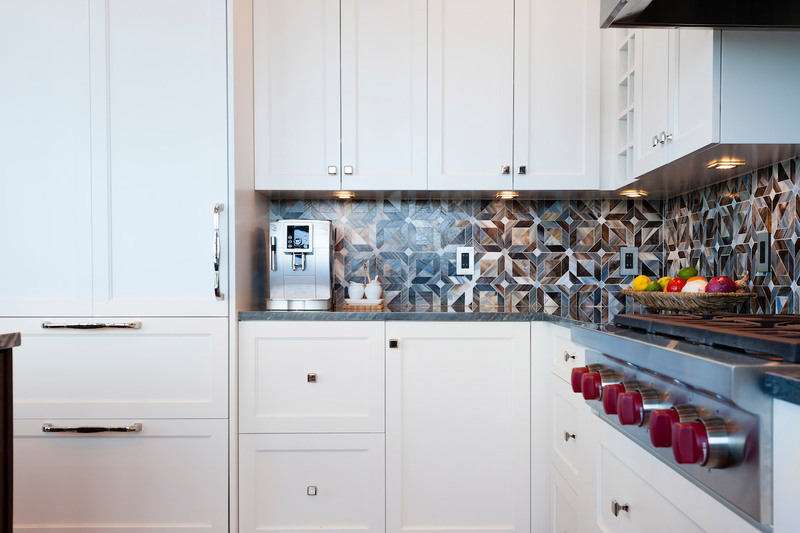 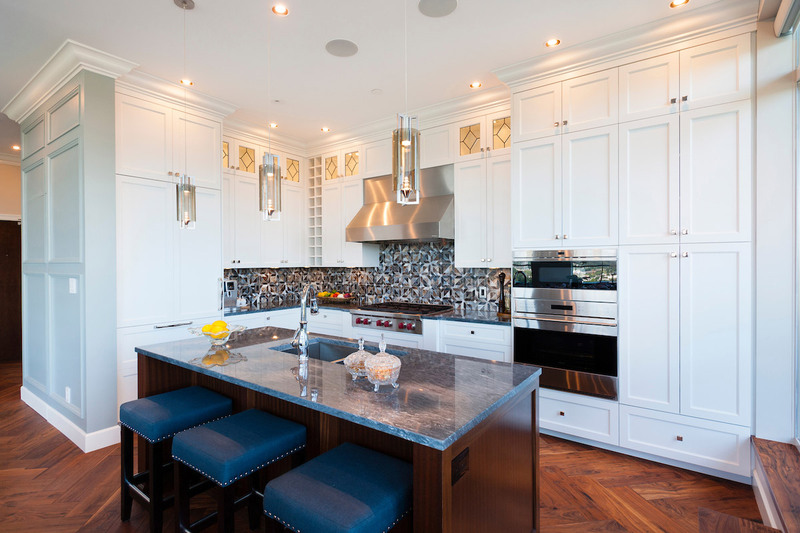 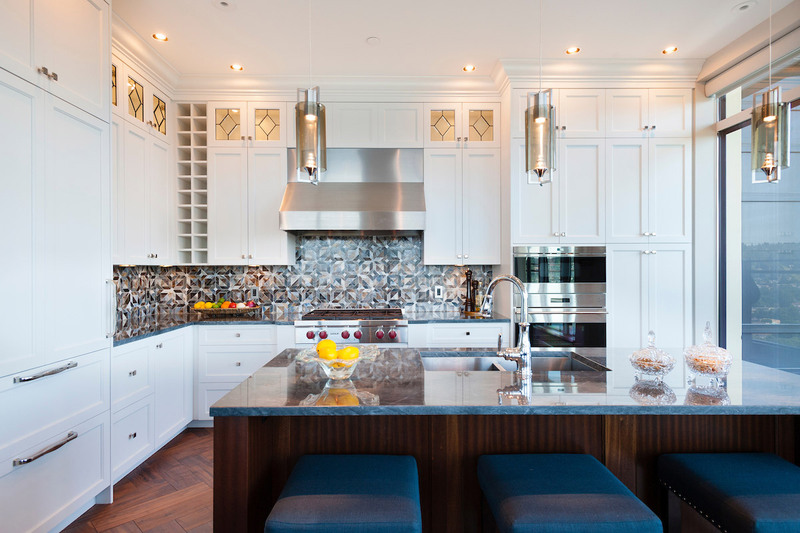 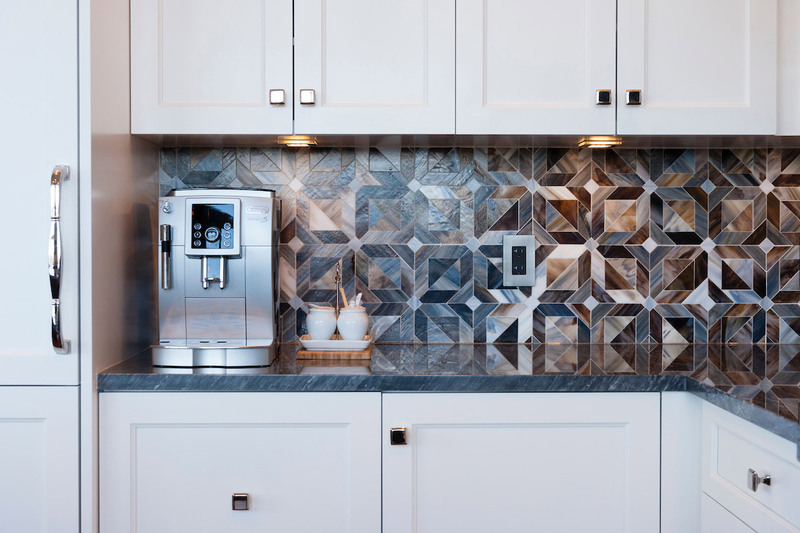 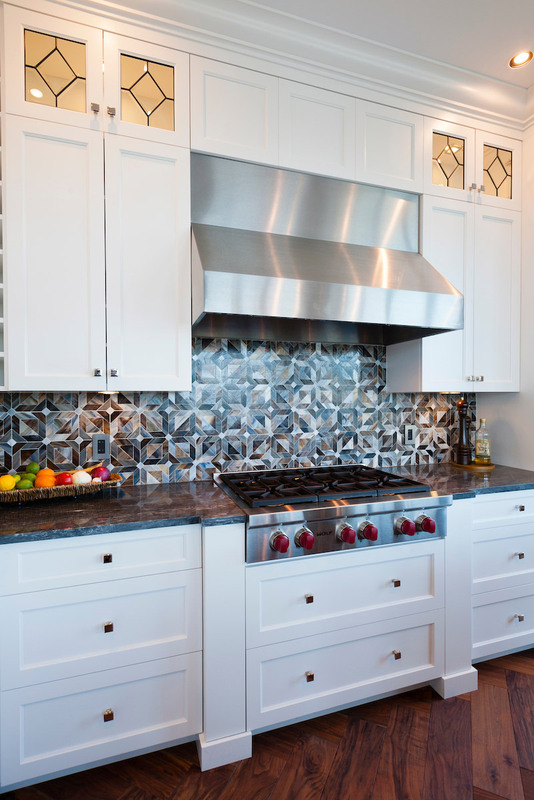 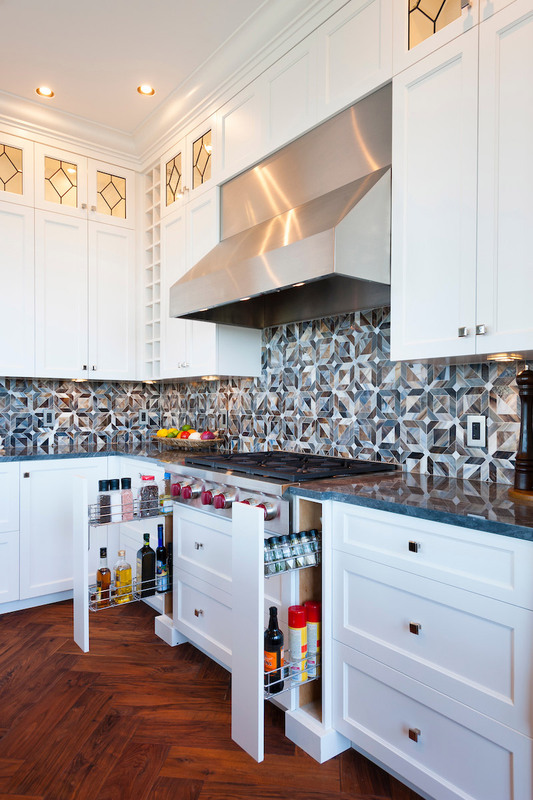 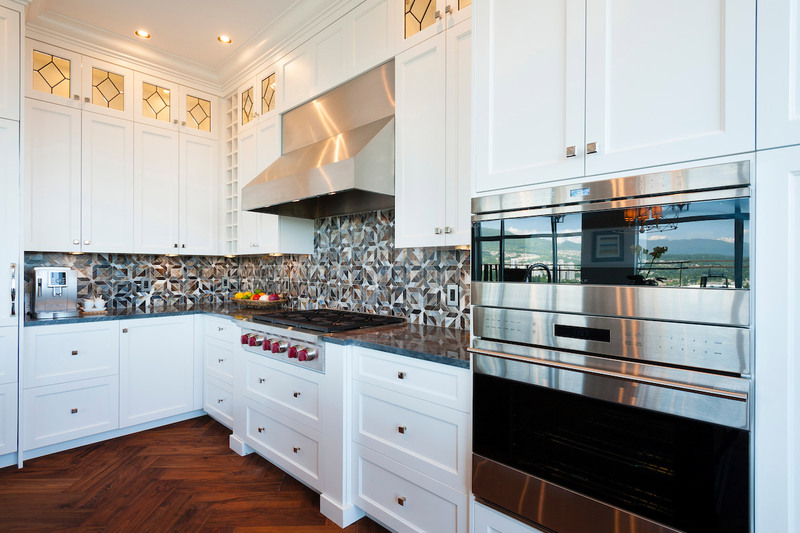 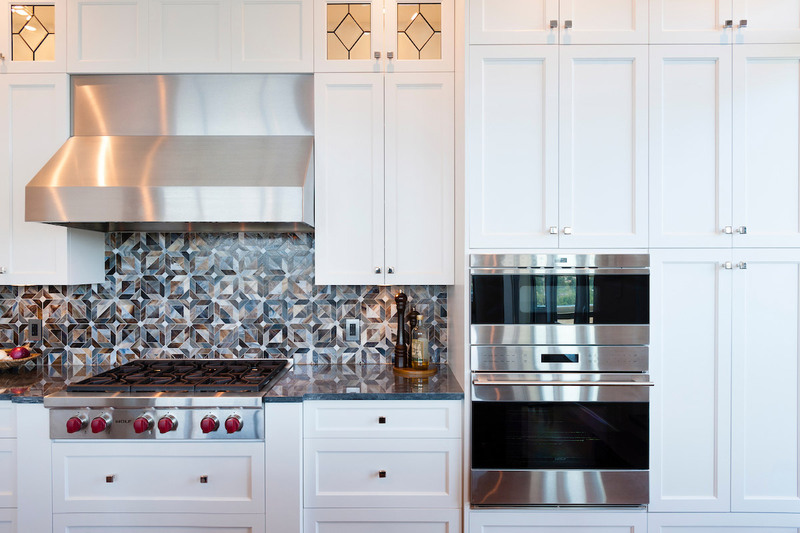 Custom glass backsplash set the scene in this new kitchen with Wolf/Sub-Zero appliances. 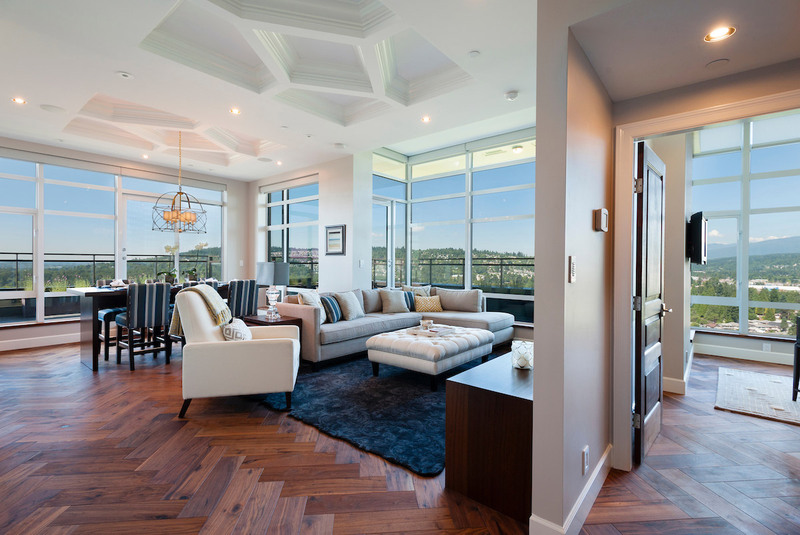 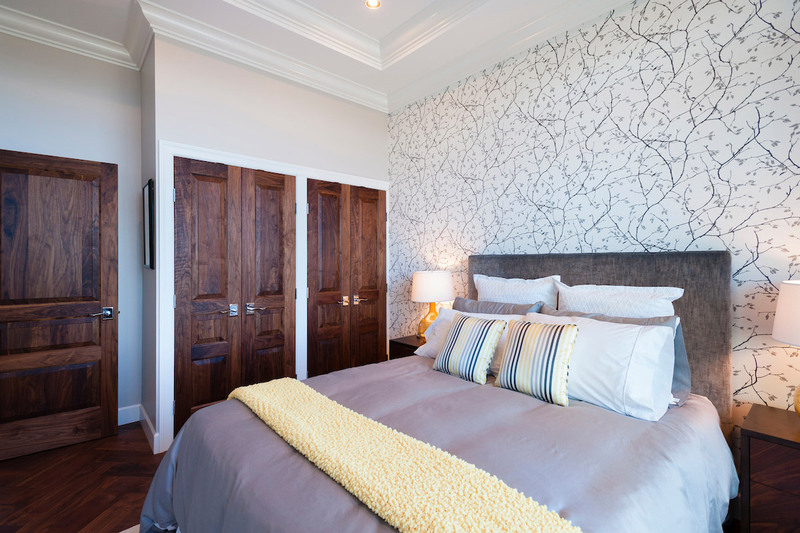 The entire condo was outfitted with state of the art technology and home automation. 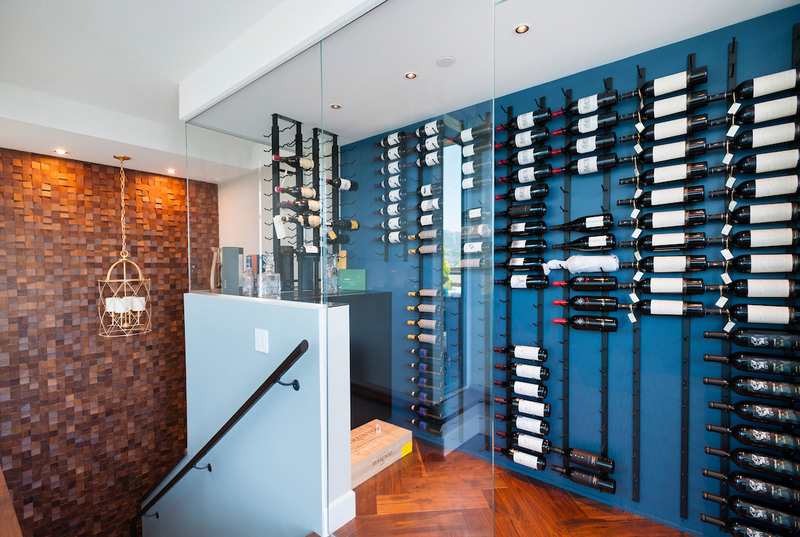 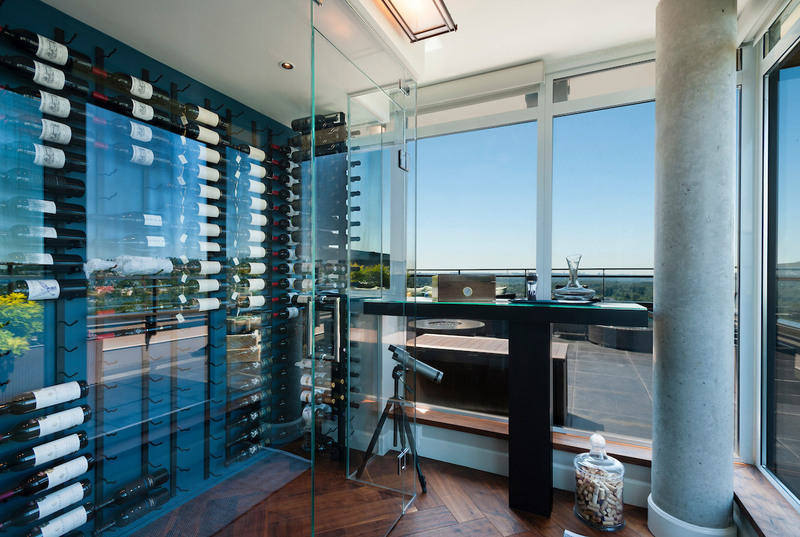 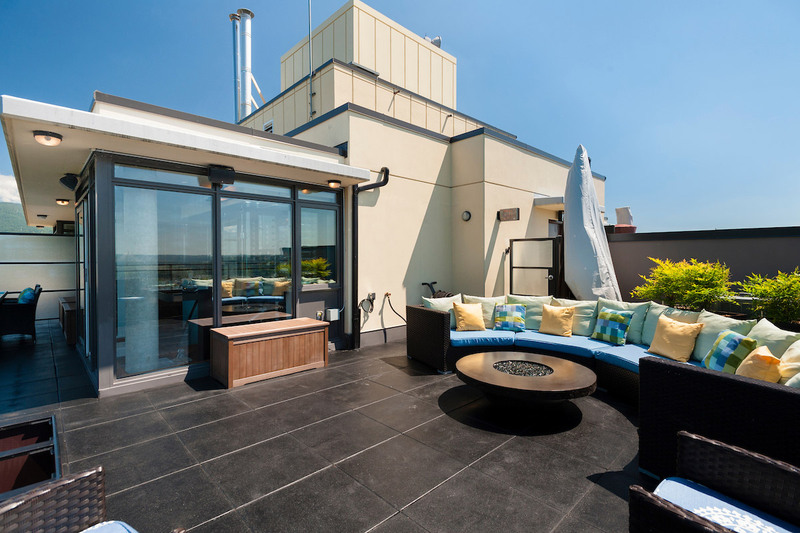 A custom wine room with UV blocking glass can be found on the second floor opening onto the large rooftop deck with uninterrupted views of the city. 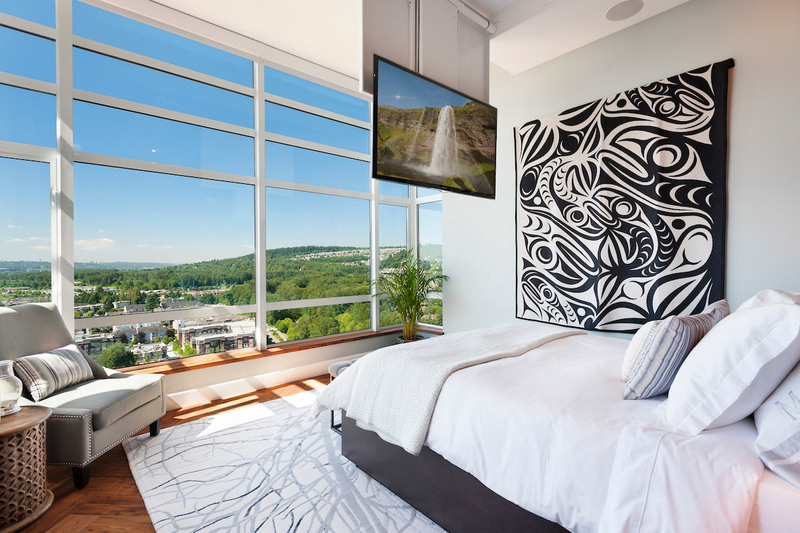 The master suite is home to a retractable TV so views were not interrupted. 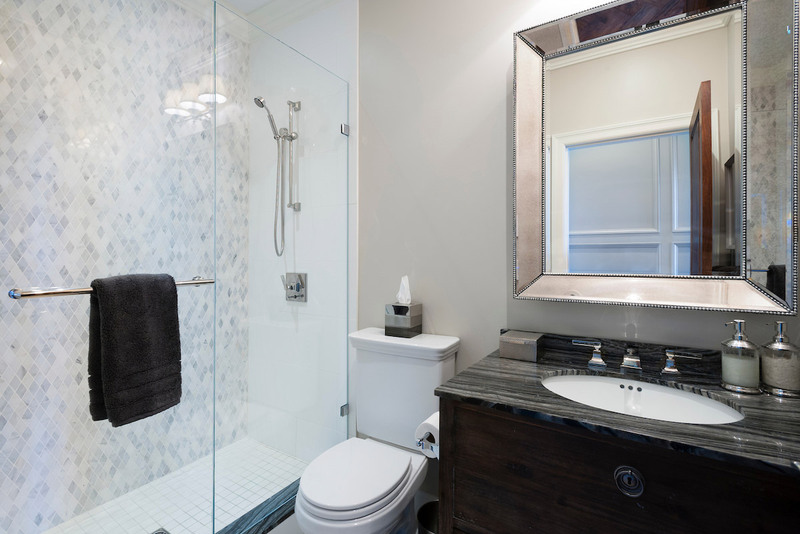 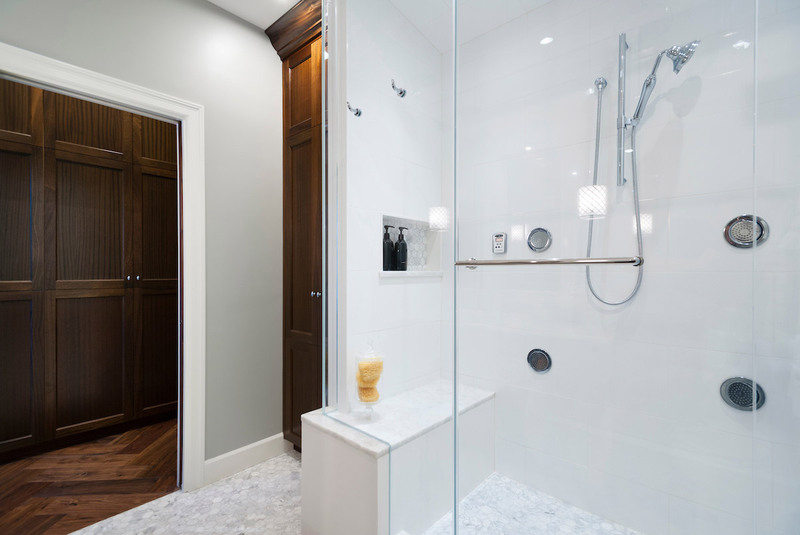 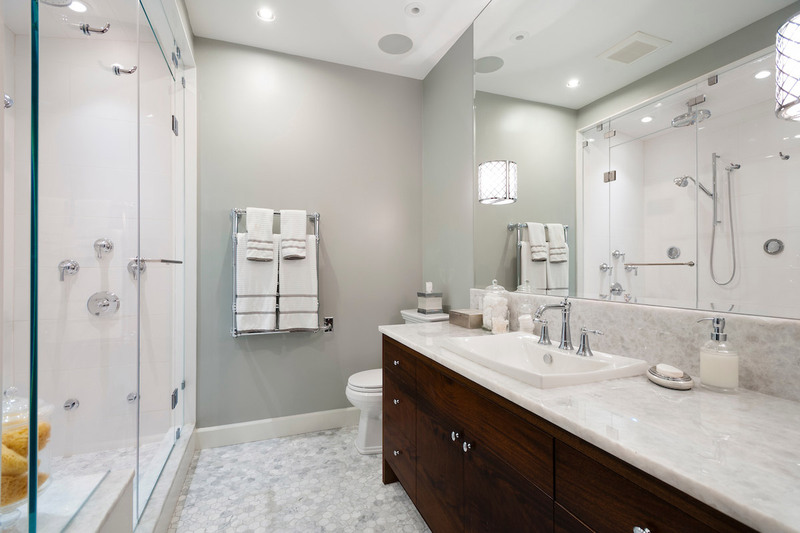 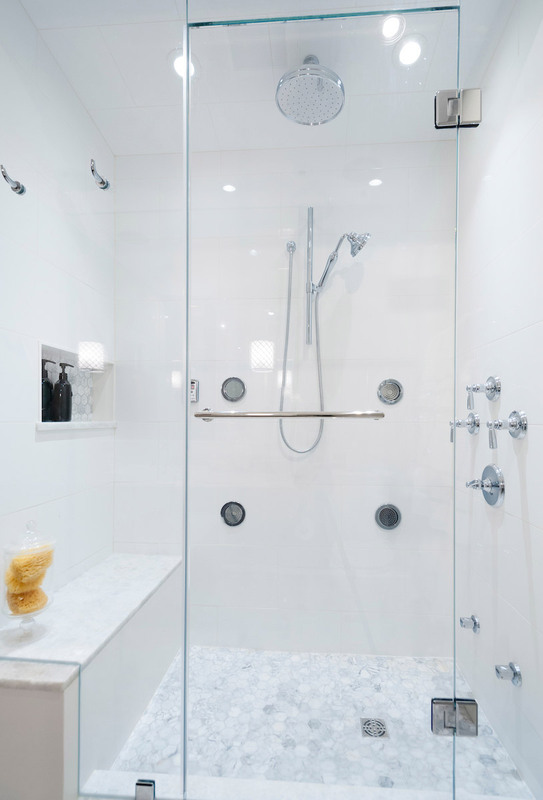 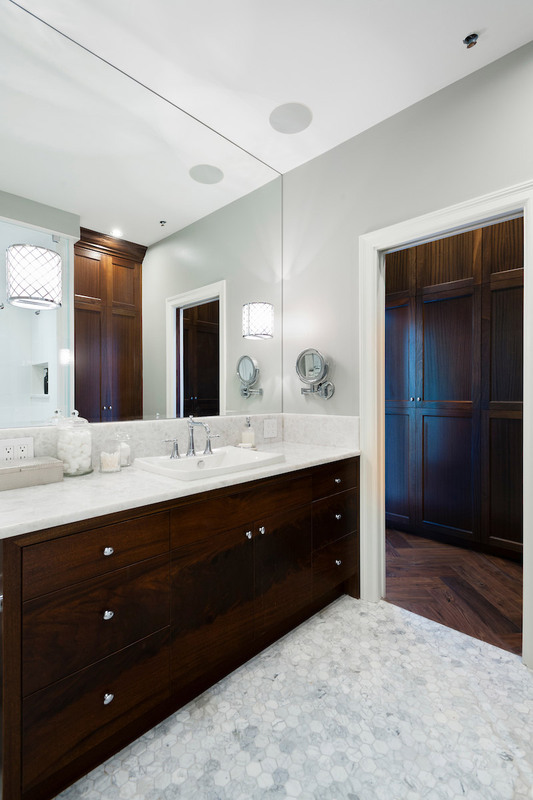 The master ensuite includes a generous steam shower and custom crotch mahogany vanity. 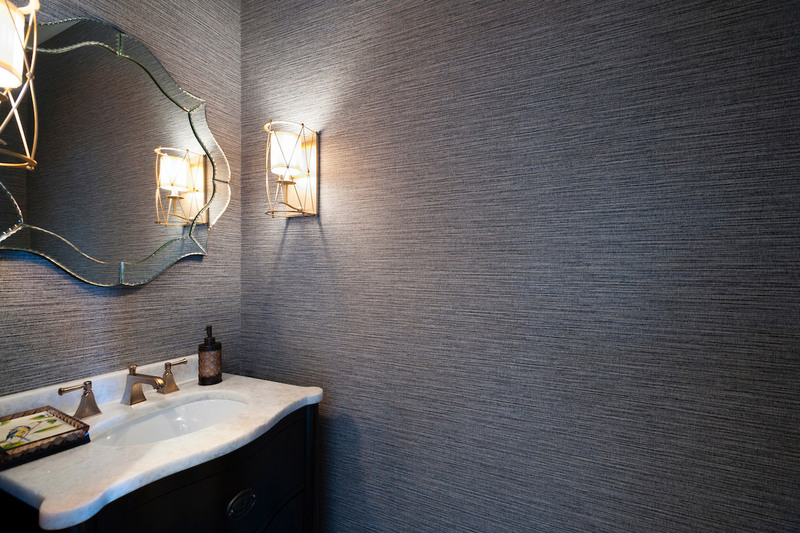 Masculine elegance with hints of femininity create a fantastic space to impress.